At our annual meeting on Tuesday 21 May 2013 we heard from London Assembly Member Val Shawcross (write up to follow) we also elected a new Management Committee to oversee the management of Lambeth Cyclists over the next year. Charlie Holland was re-elected as Borough Coordinator (Chair). 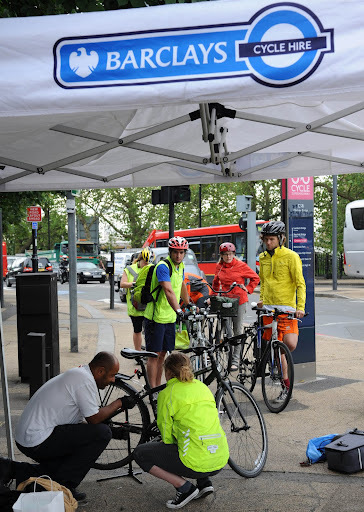 Chris James was elected as Treasurer and Nick Christian, Luke Evans, Richard Laidlaw and Clare Neely were elected to the committee with roles to oversee publicity, council liaison, events and rides on behalf of Lambeth Cyclists. The meeting also passed a motion changing the constitution of Lambeth Cyclists- for further information on this or the new Management Committee please contact Charlie. 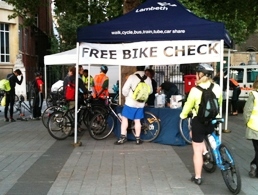 Cycle along to Oval tube station on Wednesdays for free bike adjustments. 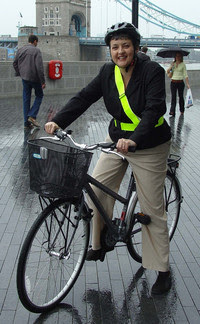 Come to the Lambeth Cyclists' annual meeting this evening - Tuesday, 21 May 2013 7:30pm at our new venue the Effra Social, 89 Effra Road, Brixton, to hear from Lambeth London Assembly Member Val Shawcross (pictured right) on what Boris' grand cycling vision will mean for cyclists in Lambeth. Val will give us an overview of the new strategy and what it means for us - as well as being Lambeth and Southwark London Assembly member she is also Chair of the Assembly's Transport Committee and so has an important role in overseeing the work of the Mayor and Transport for London. 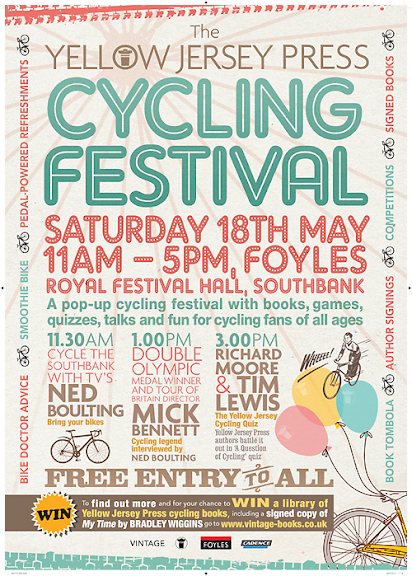 This Saturday, 18 May 2013, come to the Southbank Cycling Festival outside the Royal Festival Hall in Lambeth SE1, 11am -5pm. The Southbank Cycling Festival is a pop-up cycling festival with books, games, quizzes, talks and fun for cycling fans of all ages. 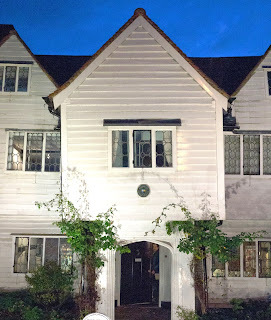 This Saturday, 18 May 2013, come on our latest easy going ride when we will be looking at what remains of the Medieval and Tudor architecture of South London travelling from Croydon to Cheam. Despite the passage of time many buildings still remain dating from this period when Croydon was a significant market town and home to the Archbishop of Canterbury at Croydon Palace, one of whom, John Whitgift, set up a foundation to provide charitable care for residents. The buildings constructed by the Whitgift Foundation such as the almshouses (pictured) will be amongst those we visit on this ride along with Croydon Minster, All Saints Church in Carshalton and Whitehall in Cheam. We will be stopping for lunch at the Little Windsor Pub, Sutton (alternatively bring your own lunch) before finishing off at West Sutton Station. We hope to be at the station in time to catch the 3:31 train home calling at Streatham, Tulse Hill, Herne Hill and Loughborough Junction/ alternatively you can cycle the eight or so miles back from Sutton to Lambeth. Join us on this easy going ride - meet 10:15am at East Croydon station on George Street. Contact Anthony Gilmour on 0795 1572330 if you have any queries.